We provide Music and Drama workshops and accredited courses in the community to children, young people and adults in North Wales - Flintshire, Wrexham and Merseyside. We work with people who have mild/complex learning and physical disabilities, Autism Spectrum Condition, mental health health issue, in recovery, and those who are isolated , lonely or living in poverty. We support people to come together, learn, make friends, develop communication skills, share interests, perform and have fun! People develop confidence and a belief in themselves that they can share their talents in the community! 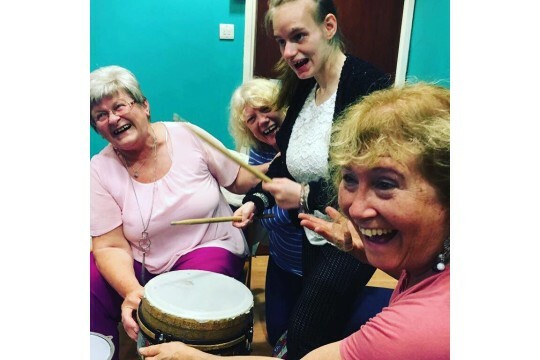 Support participants to get involved in playing instruments, singing, through supporting or facilitating workshops. Contribute to new and much needed equipment such as electronic drum kits!